« Is she Mary Jane Forster (nee McLean)? Happy hunting and publishing – how is the site maintained? The trickiest bit was getting the family tree linked in (on the side menu) as I wanted more than just a blog. The best family history websites involve ongoing cost, but you never know when some unknown relation with more information or photos might get interested and find the site, so it’s better to leave it on the web for the longer term. This isn’t perfect for my purpose, but is the best no cost solution I could find. This seems to be about the best blog system. You set it up and maintain it yourself. It can be as simple as you like, but is highly tailorable if you want to go further with layout and such. All I did was sign up and start playing. Everything you need is on your dashboard. TIP: I can save you from one mistake I made at first. Don’t think just because they have a silly name that widgets won’t be important! converted to Catholisim at the time for political reasons. Nice to hear from you Irene. My Grandfather was born at Kinard Lodge too, in 1877. I can see your mother in my family tree. You and I are 5th cousins! Your message didn’t have your email behind it or I’d ask you many questions. Briefly, I think your grandfather (Oliver Bourke of Kinard Lodge) and Henry Charles Bourke of Ballina were cousins rather than brothers? Also I’d love to know if you heard anything at all about James Paget who built Kinard Lodge. I am interested in how we are 5th cousins? August 19 in St. Mark’s Church, Dublin, Captain James PAGET, only son of Thomas PAGET, Esq., of Knockglass, county Mayo, to Jane Caroline, eldest daughter of Major J. KNOX, of Greenwood Park, in the same county. I do not know the contents or dates exactly until look, He did not reside in Ireland. Forgive me I am not so good at these networking websites! It is also of some consideration to take into account: The state of Pre-Republician Ireland her Political Religious Social and Famine Times also as a way of retreving information and how certain informations was repressed. Thanks Irene, I’d be curious to see that letter. I’m guessing it must be between Capt. 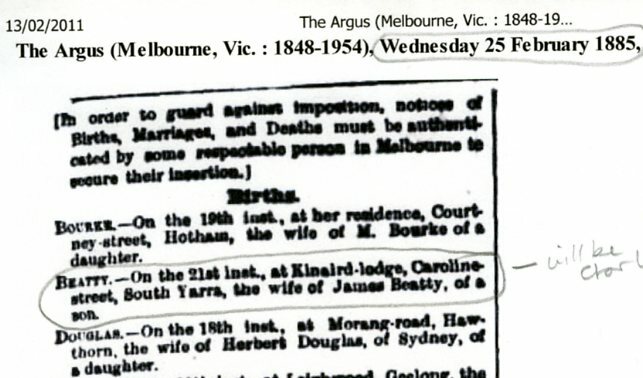 John Paget Bourke who lived in England? but owned Kinard Lodge after my Paget ancestors emigrated in 1877, and his younger brother James Paget Bourke (your great grandfather) who occupied it and handed it down to his son Oliver. The way cousins work is: If you have a grandparent in common you are first cousins. If you have a great-grandparent in common you are second cousins and so forth. According to my calculations you and I are both great-great-great-great grand-daughters of the first Thomas Paget of Knockglass (approx 1716-1797), so 5th cousins. His grand-daughter Elizabeth Paget married John Bourke at Crossmolina in 1815. They were your great-great grandparents.